Very cool, and in a choice of four colours! Will the radiographers operate these machines remotely like they do in real life? 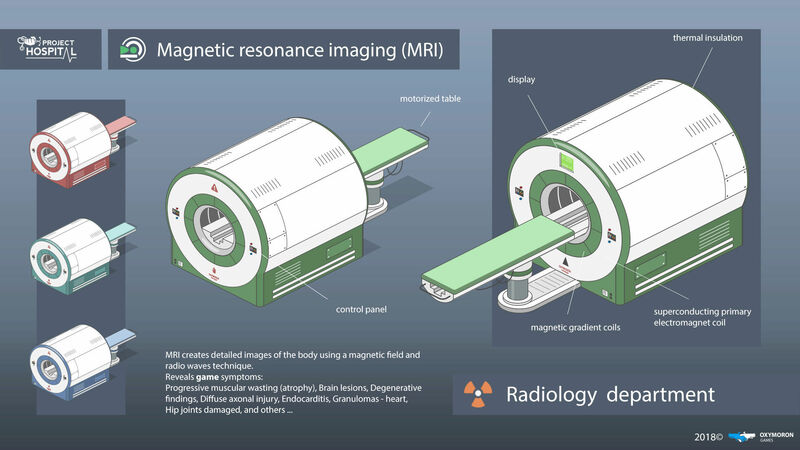 Would be a nice touch if we have to make the rooms for the machines (XRAY shielded or magnet safe zones) then construct the room for the radiographers to operate the machines with a viewport in! Loving what you guys are doing, very excited to finally get to play this game! Do you guys planning to add randomly anaphylactic choc from the contrast product? Paramedic14 wrote: Do you guys planning to add randomly anaphylactic choc from the contrast product? If we say 3 per 1 million, that's a 0.000003 risk for a patient to die from it. It is, however, evident that it would happen more often as these numbers only count deaths, but it is probably NOT way higher. I won't be researching further to find actual figures about occurrences of contrast anaphylaxis. Would it be worth creating content for something that players most likely will never encounter? If they decide to, but instead make it more likely to happen, it would greatly misrepresent reality. They have the artistic freedom to do so, but I would probably advice to put their efforts and focus elsewhere, so the game does not lose the sought after scientific integrity. No worries, discussion is a good thing. Anaphylactic shock is definetly a relevant situation that could be somehow represented in the game, but I would probably say that it should be merged into just 'shock', which is severe hypotension that can be due to several reasons (where anaphylaxis is one of them). However if 'shock' is put in the game, it should probably be cardiogenic and hypovolemic shock. This could actually make for a very interesting 'ACT FAST!' event. Will you put the patient in Trendelenburg position? If the shock is hypovolemic, Trendelenburg will help. If the shock is cardiogenic, it will often make things worse. I can not uderstand how we have reached to trandelemburg discussion starting with a MRI and CT concept topic. However Tren position is still used in prehospital above all in Basic Life Support where you have not other ways to treat low pressure or shock situation. Actually is controversial theres no clear evidenve against or supporting it so....I think it dependce of your equipment and where you are. An MRI for endocarditis? All my what? As to the contrast debate, it would more common to have an adverse event if there is renal impairment, and that would be a cool mechanic to have to work around that. Vicex wrote: An MRI for endocarditis? All my what? Yes, MRI makes no sense to diagnose endocarditis. The things shown here are work in progress and not final. The developers have done an amazing job trying to navigate the medical field and hopefully the beta testing will help resolve discrepancies. Yes, there was a study done in 2013 by University of Istanbul that showed an Cardiac MRI can be used as part of a diagnosis for IE. With the use of correct imaging sequences it can detect valvular vegetation which are causes of Infective Endocarditis, however its generally done along with several tests such as Echo, CRP & ESR. Of course you can diagnose endocarditis with MRI. 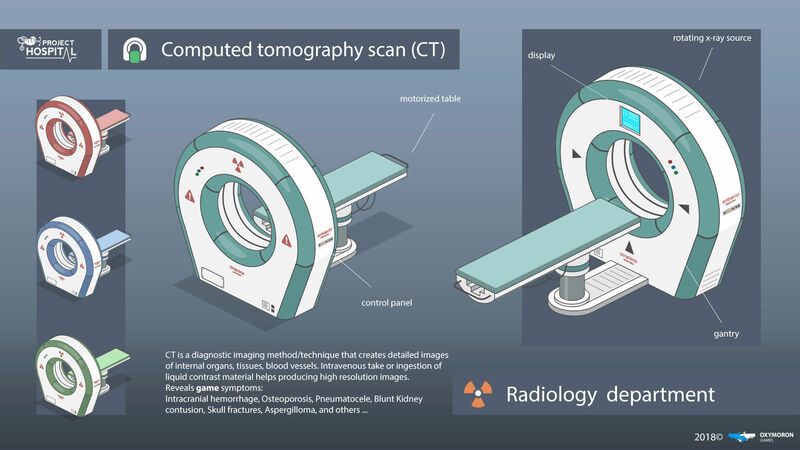 You can also diagnose a bone fracture with an MRI, but that would be considered pretty wasteful. Doing an ultrasound of the heart is way cheaper and is, I believe, the standard today. I expect we'll bump into some cases where we'll unfortunately have to sacrifice some realism for a working game design, but if it's only a matter of choosing a correct diagnostic method like here, that should be a simple change. Okay this i love, dev's that actually look and read the topics then alter the game based on a topic between only a few people, where as some devs would just blow it off!